The concept of Pop-Up Dinners originated from years of East and West-coast chefs who didn’t have their own kitchens, but would prepare and serve meals in random and often secret locations to a select few guests. Many would use open fires, grills, coals, or the kitchens of homes, offices, boats, warehouses, etc. This style of dinner became so popular because of their rare and unique appearances (hence the term “pop-up”) that the trend took off and is practiced worldwide today. 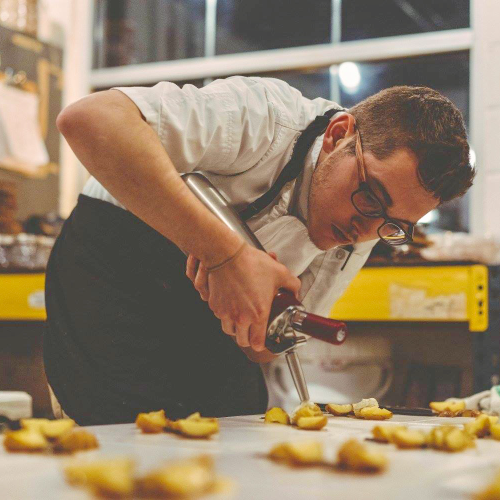 Tuscan Hill will be hosting local chef Drake Tillman as Pop-Up Dinner Chef for 2018. At the dinner experience, guests will enjoy Tillman’s current hyper-seasonal monthly creation in the form of a seven-course tasting menu. Chef Tillman’s dishes are modern, vegetable-forward and surprising. As courses are served for each month's farm-to-table-style meal, Tillman will share with guests about the evening’s menu selection, the unique preparation, and from where the ingredients were sourced locally. Guests will also choose two glasses from a selection of craft beer, wine or a non-alcoholic option to enjoy during their meal. The monthly dinner experiences on Tuscan Hill’s property will begin on June 28. All dinners will begin at 6:00 pm. Seating is limited to 30 guests. To learn more about Tuscan Hill and it’s parent company, Tuscan Hospitality, visit www.tuscanhospitality.com.